The Merrell Tremblant Ezra Zip Waterproof Ice+ Boot is equipped with salt resistant, waterproof, full- grain leather for protection and style while the Vibram Arctic Grip outsole provides unparalleled traction on ice even in the most extreme winter conditions. With M-Select Warm lightweight, low-bulk 200g insulation, faux fur lining and an inside zip closure for easy on and off, these boots are both stylish and efficient for even the worst conditions winter can throw at you. 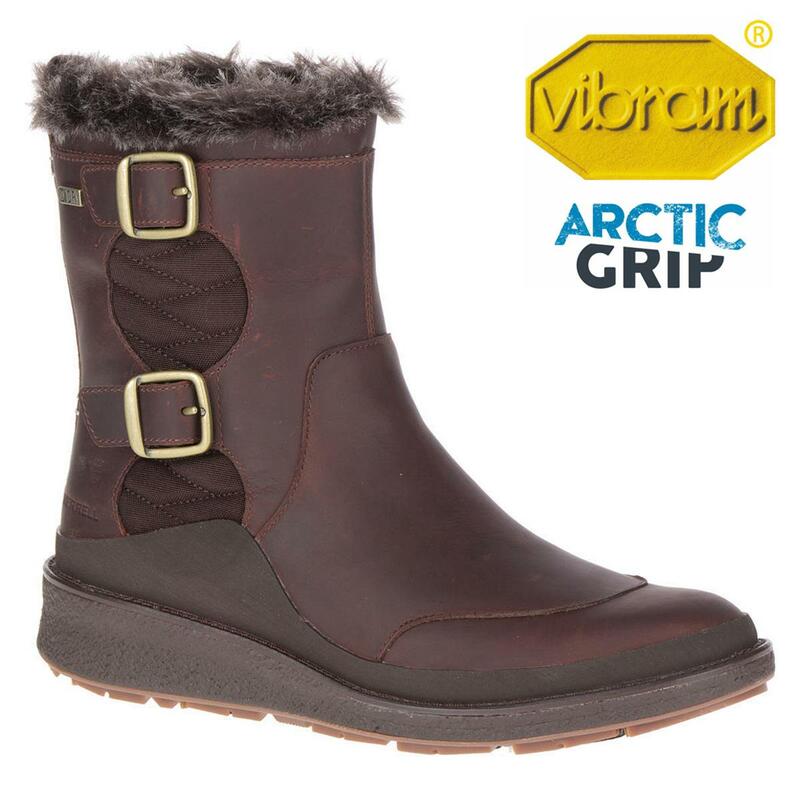 Vibram Arctic Grip is the most advanced cold weather gripping system ever created by Vibram. It provides 3x more traction on wet, icy surfaces compared to other leading Vibram soles. The thermochromatic lugs change colour to signal icy conditions while the groundbreaking arctic grip compound lets you tread everywhere in confidence.